ElectriCities of North Carolina uses a new portable, three-phase trainer to instruct linemen in a safe, controlled environment. When apprentice linemen step out into the line trade, utilities may ask them to build a transformer bank. If this job is performed incorrectly and they perform one wrong connection, they could inflict thousands of dollars of damage and put their livelihood, and even their lives, at risk. To train linemen how to do this work method the right way, ElectriCities of North Carolina invited municipal linemen from across the state of North Carolina to a one-week Transformer Training School in Maiden, North Carolina, last summer. Rather than making the linemen sit in the classroom all day and learn from textbooks, the school introduced the students to a new way of learning. Because linemen often prefer to perform physical, hands-on work, the school not only taught the students through classroom instruction, but also gave them the opportunity to practice on a simulator and work on transformers in a training yard. Linemen from North Carolina municipals practice three-phase transformer banking using the new Load-Trainer II Transformer Simulators. Once or twice a year, ElectriCities offers a Transformer Training School for students—alternating one in the eastern part of the state and one in the West to make it convenient for cities across North Carolina to send their employees. 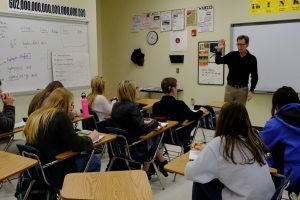 Since each class is limited to 25 students, a second school is sometimes added, but typically, only one course is offered per year. These training programs are designed not only for the apprentices new to the line trade, but also for experienced journeymen linemen who need refresher training. On the first day of the training program, the students took a verbal pre-test assessment and attended a job briefing before learning about transformer theory and touring the outside facilities. The next day, the linemen received instruction on IFD and single-phase transformer installation replacement and removal. During the week, they also learned how to size a transformer and troubleshoot an overhead transformer bank following a simulated outage. 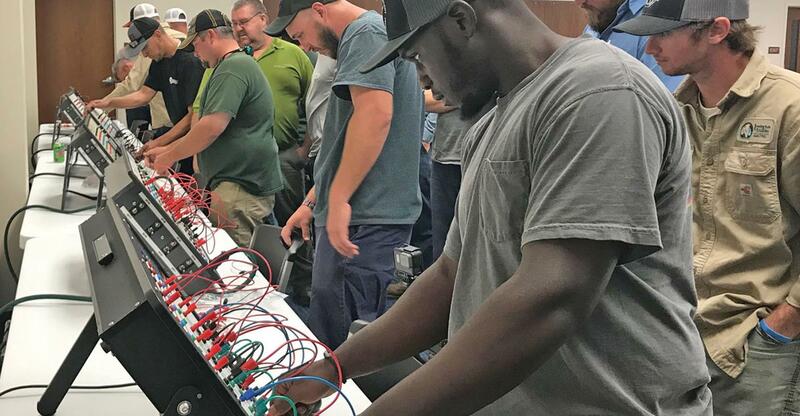 To give its students real-world experience with transformers, ElectriCities of North Carolina introduced the new Load Trainer II Transformer Simulator from Utility Solutions at its summer session. The portable three-phase trainer takes classroom learning a step beyond basic textbooks and slide presentations by combining a physical wiring environment with a computer controlled simulation. The Transformer Simulator, which measures 27.5-in. wide by 19 in. tall by 3.5 in. deep, weighs 16 pounds. It also includes color-coded patch cords and a 7-in. interactive touch screen. To operate the simulator, users apply jumpers between source lines, transformers and a secondary system. When they press the “test” button, the simulator will display phase-to-phase voltages, phase-to-neutral voltages, phase angles and load. 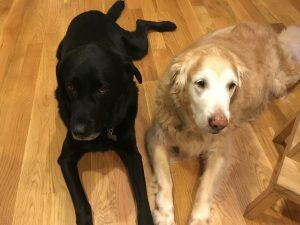 Every day starts around 5 a.m. with my golden retriever Anni and her black lab mix brother (of a different mother) Owen. One of them will rise from their dog beds and walk to my side of the bed and just stand there, breathing loud enough for me to eventually hear. When they know I am awake, I next sense the gentle wap, wap, wap of their tail happily wagging against the side of the mattress. I rise slowly and make my way in the dark to my closet to dress, praying I don’t step on one of about 20 dog bones scattered throughout the house. They both follow me, anticipating one of their daily walks and knowing that breakfast can’t be far behind. Before them, I’d never had a dog, and now I can’t imagine life without them. 2/13/19 Rocky Mount, N.C. Operations Center. 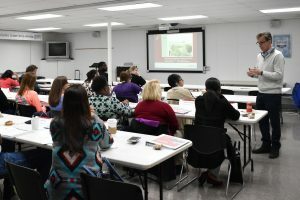 Today, I taught our Customer Service 101 class to 25 customer service representatives (CSRs) and dispatch staff from our eastern North Carolina members. We started our Customer Service classes in 2015 and since then, 465 members have attended one of three classes. CSRs are the face of public power, often interacting with more customers than any other public power position. Sometimes customers can be emotional and upset about a high bill or a cut off notice, and CSRs often bear the brunt of these venting experiences. The classes are designed to help them better understand the product they sell, electricity, how customers use electricity, and how to handle challenging customer interactions. 2/15/19. Today, I distributed an email to city managers and utility directors announcing the availability of State of North Carolina grant funds that can be used to purchase electric vehicle charging stations and electric vehicles. Electric vehicles are a promising frontier for electric utilities. Public power communities have an opportunity to promote them by installing the infrastructure that will enable electric vehicle owners to charge their vehicles away from home. Today, I visited the Cannon School in Concord, N.C. to teach our E-Tracker program to Ms. Mattson’s Advanced Placement Environmental Science class. E-Tracker is designed to help high school students understand the relationship between the weather and their daily electricity use at home. To make this happen, we get them to apply the scientific method where they hypothesize what will happen, collect data by reading their home electric meters and recording high and low temperatures every day for a month, analyze the data using spreadsheet analytics including linear regression, and draw conclusions. The students also measure the electric use of at least five home appliances with a “Kill-A-Watt” meter, which we loan to them. E-Tracker actively engages students and they feel a sense of ownership in the data, and it is affirming to see them grasp the concepts we are trying to teach. Each workday ends much like it begins — with my welcome committee of Anni and Owen who greet me with wags and licks and barks once I’m inside the front door. Now, like in the morning, they know my arrival marks another walk followed by dinner. Once we return from our walk, it’s feeding time again, followed by medicine for Owen, who has been on antibiotics for a bacterial infection for several months. Then I prepare dinner for the family, and we sit, eat, and talk about the highs and lows of our respective days. After clearing the dishes and kitchen cleanup, there will be time for the latest binge watch on Netflix before sleep takes me over, assuredly before the end of whatever episode my wife Joy and I are watching. I’m awakened with a gentle nudge from Joy, as it is time to take the dogs out one last time. 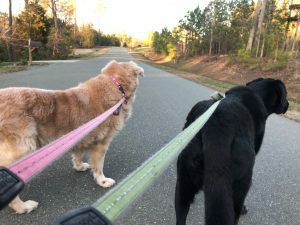 It’s something they probably don’t need to do, but a routine we started with them as puppies and one we continued to do because they/I don’t know life any other way. When we return, they head to their dog beds and it’s time to brush our teeth and get ready for bed. On the way back to the bed, I pet the dogs one last time and then head under the covers for the privilege to do it all over again. You can always find the largest utilities in the country—the biggest regional and multi-state power players—on any top utilities list based on installed power capacity. But if you use size as your primary criteria, be prepared to make some last-minute edits to the list: as we were going to press last year with our Editor’s Picks for the utilities sector, Virginia-based Dominion Energy swallowed SCANA in neighboring South Carolina in a $7.9-billion acquisition; earlier this year, Gulf Power was acquired by NextEra Energy. When BF makes its utilities choices, we’re not just measuring megawatts—we’re looking for the power players who are fast on their feet in embracing new technologies and proactively fine-tuning their sources of energy for a rapidly adjusting market. We’re looking for old-school reliability combined with cutting-edge efficiency. And we’re zeroing in on the players who always seem to have a seat at the table when the deals are cut for the most important economic development projects in their region. Today’s leading utilities are playing an integral role in the future prosperity of the communities they serve. They’re busy tailoring energy solutions to match the evolving requirements of the 21st century businesses that locations covet as engines of sustainable growth. They’re also playing a leading role in expanding the reach of renewables by delivering green energy at rates that make it competitive in all markets. In more than 70 cities and towns across North Carolina, homes and businesses are powered by municipally owned utilities. These public power communities have a well-earned reputation for providing safe, reliable electric service and outstanding customer service to more than 1.2 million people in North Carolina—more than the populations of Raleigh and Charlotte combined. In fact, a statewide survey of 3,000 customers in North Carolina conducted in 2018 found that 82.3 percent of residents are satisfied with public power. Public power providers in North Carolina—and across the nation—consistently outperform investor-owned utilities when it comes to reliability. In fact, public power experiences fewer power outages, and gets the power restored more quickly than others. A prime example of this ability to provide exceptional reliability was demonstrated during the 2018 hurricane season. Three days after Hurricane Florence made landfall, 80 percent of Fayetteville customers and 83 percent of New Bern customers had their power restored. These were two of the hardest hit communities. And 26 member communities reported no outages at all. ElectriCities is proud to be the energy behind public power. ElectriCities is a not-for-profit membership organization that consolidates many of the administrative services needed by 70 municipally owned electric utilities operating in North Carolina. ElectriCities was formed to protect the interests of North Carolina public power communities and to provide a unified voice on state and federal issues affecting public power. Economic development is a huge driver in North Carolina public power communities. The benefits of public power have helped our communities attract and retain businesses, adding a growing workforce throughout the state. Public power communities throughout North Carolina saw some big economic development wins during the third and fourth quarters of 2018. Novo Nordisk, a multinational pharmaceutical company, expanded in Clayton with a $22 million investment, creating 22 jobs. Hanesbrands signed a lease for a 340,000-square-foot distribution center in High Point, paving the way for 200 new jobs. AirBoss of America Corp. received a performance-based grant from the One North Carolina fund to help facilitate the expansion of their existing 150,000-square-foot rubber compounding facility in Scotland Neck, creating 42 additional jobs. Enforge, which is a manufacturer of steel-formed suspension and steering assemblies for automotive companies, invested $4 million to expand its existing production plant in Albemarle, creating 44 jobs. Additionally, Sysco Foods invested $11.6 million into an expansion in Selma. An in-house economic development team serves ElectriCities’ member communities with everything from site selection to providing demographic and market reports. Visit www.electricities.com to learn more and follow ElectriCities on Twitter @ElectriCitiesNC, Facebook @ElectriCities and Instagram @ncpublicpower. A perfect tomato tastes like summer. Juicy, warm, full of sunshine. There’s something so pure and fulfilling about a tomato just pulled from the vine. Now imagine if every tomato you ate was like that. When you buy your produce from the store—even if it’s “local, organic” produce—it’s impossible to get that just-picked-this-morning sweetness. As with all plants, fruits and vegetables grow in seasons; if you want strawberries in winter, you’ll have to eat ones that were cultivated thousands of miles away. Growing, packaging, and shipping food in the off-season means two things: reduced flavor, and an increased carbon footprint. 80 Acres Farms prefers to do things the other way around. Managed by a coalition of engineers and farmers, 80 Acres Farms has developed compact, highly efficient vertical hydroponics technology that will allow cities to grow fresh food 365 days a year. Each closed-loop system is built inside a 40-foot steel shipping container—which can be easily transported without damaging the vegetation inside. Energy-efficient LEDs provide the optimal spectrum for plants to thrive, and temperature controls keep grow zones at the perfect climate all year long—adjusted to be warmer in the winter and cooler in the summer, as necessary. Each unit is, in essence, a tiny indoor farm. By reclaiming the water that plants naturally respire into the air, these movable feasts use 97 percent less water than traditional farms—while yielding 100 times more per acre—all on renewable energy, without pesticides. This ingenious process is so efficient, a single shipping container yields 80 acres’ worth of food. Headquartered in Cincinnati, with one facility in Arkansas, in 2016 80 Acres expanded its operations to Granite Falls in Caldwell County, North Carolina—thanks to a $125,000 North Carolina Department of Commerce Building Reuse grant. With this vital foothold in the Southeast, the company is one step closer to its vision of delivering fresh, leafy greens to customers around the United States. Their ultimate goal: to have a presence in every state. At the intersection of high technology and roll-up-your-sleeves, get-your-hands-dirty gumption, 80 Acres proves that big problems can be solved by thinking small. At ElectriCities, we’re big proponents of this can-do innovation, and are looking forward to seeing how many cities will soon have 80 acres of their own. What is your role at the Fayetteville Public Works Commission? I’m the Communications and Community Relations officer. I manage internal, external, and crisis communication—everything from educational outreach to sponsorships to community support. I’ve been at PWC since 1997, and basically in the same role, but it’s changed! When I started here, we really didn’t use email, and we had a 2-page website. But the thing that has changed the most is we all realized how stakeholder communications, community relations, and all the proactive things that we do strengthen our relationships. How do you reach so many different people last-minute, in a crisis like Florence? We communicate frequently. We start with our grassroots channels—our commissioners, city council, and stakeholders—who can help support the message once it goes out. With Florence, we kept our message consistent. We communicated the same message on media and social media that we did with our employees and with the city council. Everyone got the same thing across the board. How do you quantify the scope of Florence? We had approximately 60 percent of our customers who, at some point, lost services. That’s about 50,000 people. That was quite a bit. But within 72 hours of when we were able to get out and start making repairs, the majority of those were back on. The storm wouldn’t move on. That holding pattern. Having to tell customers “We can’t get out and start restoring services yet.” In all my time here, we’ve never had a storm or situation like that. What was the most encouraging/uplifting thing? But we don’t do it for the praise—we do it so our customers are happy and our employees can do their jobs without customers being frustrated. On September 14, Hurricane Florence made itself comfortable above the Carolina coast, soaking the state for days; then, barely one month later, Hurricane Michael left a mark of its own. Thanks to a coordinated communications plan and the extraordinary efforts of our brave utility workers, public power communities throughout North Carolina, South Carolina, and Virginia were prepared for the worst, and soon had their power restored. It wasn’t the most powerful storm ever to make landfall over North Carolina. But when Hurricane Florence swept ashore as a Category 1 storm on September 14, it brought with it three days of unrelenting rain and wind that leveled power lines and inundated homes. Almost one month later, Hurricane Michael smashed into the Gulf Coast as a Category 4 hurricane; then, weakened but still dangerous, it tracked across the Carolinas, uprooting trees and darkening homes as it passed. A detailed chronicle of the toll exacted by these storms could fill the pages of a book. Let it suffice to say that at the peak of its wrath, Hurricane Florence left nearly 1 million North Carolinians without power; at its worst, Hurricane Michael plunged half a million people into darkness. Rivers overflowed their banks, sweeping cars from bridges and roads. At times, downed trees crushed homes and prevented emergency services from reaching ailing residents. In total, the two storms wreaked more than $31 billion in damage and cost 44 North Carolinians their lives. Three days after Florence made landfall, 80 percent of Fayetteville customers and 83 percent of New Bern customers had their power restored. These were two of our hardest hit communities. Twenty-six member communities reported no outages at all. Twenty-four hours after Michael swept through, public power crews had restored electricity to the majority of our customers. Braving venomous snakes, falling tree limbs, flash floods, and the risk of electrocution, they did not stop until the roads were clear and the lights were back on. This was made possible by coordinated planning between state and local officials, a unified communications strategy, and the tireless efforts of public power workers and emergency services. We thank and honor the extraordinary individuals who, at nature’s worst, showed their best, and who—quite literally—helped put our state back together. In the last decade or so, more and more food processing companies have set up shop in eastern North Carolina. According to data from the Carolinas Gateway Partnership, an agency dedicated to economic development in Nash and Edgecombe counties, at least a dozen food processing companies are located within a 30-mile radius of Rocky Mount.The agency notes several factors that contribute to this clustering, including the excellent highway system, business-friendly tax rates, and attractive incentives from state and local governments and from the Golden Leaf Foundation. But the reasons most often cited? The area’s convenient central East Coast location and its motivated and talented workforce. For Belgium-based Poppies International, those factors, as well as reliable electric service, have helped drive the company’s success in its U.S. headquarters in Rocky Mount for the past 17 years. Poppies International ships its frozen cream puffs and mini éclairs to buyers across the United States, Canada, and Asia. Its location in Rocky Mount’s Whitaker Business & Industry Center means easy access to Interstate 95 and U.S. Highway 64, as well as proximity to the Port of Norfolk. Before the city of Shelby implemented its mobile service order system, service calls involved a lot of paper, a lot of trips to and from customer sites and the office, a lot of time, and a lot of room for error. “It was very cumbersome,” explains Sam Clark, customer services manager for the city of Shelby. “But at the time, that was just our ‘normal.’” Upgrading the city’s CIS to NorthStar provided an opportunity to create a new normal, thanks to mCare, NorthStar’s add-on mobile workforce management app. “Now everything is digital,” Clark explains. Each filed tech has a tablet or a laptop, and they receive work orders from CSRs in real-time. The filed techs enter service notes, including photos, directly into a customer’s account. They can even warn other techs about rowdy pets at a residence. “Techs are basically CSRs in the field now,” Clark says. The result is quicker response time, huge cost and time savings, and accurate and consistent messaging across all levels of the municipality. As far as advice on implementation, Clark recommends using iPads and says on whatever device you choose, be sure to budget for Wi-Fi cards so your field techs can stay connected. A little over two weeks after the country’s public power lineworkers packed up and headed home from the rodeo in Wake Forest, lineworkers from 17 public power communities in North Carolina met in Morganton for the 2018 North Carolina Association of Municipal Electric Systems (NCAMES) Rodeo. Brooks Kirby, director of Morganton’s electric system, said the NCAMES Rodeo is where you’ll see “the best of the best of the linemen in the municipalities of North Carolina.” The lineworkers didn’t disappoint. Competing in many of the same events as in the national rodeo, 27 apprentice and 46 journeyman lineworkers demonstrated their best techniques and safe work practices for friendly but tough competition in Catawba Meadows Park. Scott Hardison and Angel Valdovinos from Kinston Public Utilities took the top two spots in the Apprentice category. The City of High Point’s Isaac Spillman landed the third. A remarkable 15 of the 23 journeyman competitors received perfect overall scores. Dustin Prince and Jon Rose from the Town of Apex took first and third place, respectively. Greenville Utilities Commission’s David Guy placed second. Future lineworkers from local high schools and community colleges were onsite to participate in mock rodeo events and practice working with tools of the trade under the watchful eyes of Morganton lineworkers. Looks like the competition in the Apprentice category may be tougher next year! It’s official: The 2018 Public Power Lineworkers Rodeo was a rousing success. With an estimated 2,500-3,000 attendees, the American Public Power Association declared it the largest ever! On that sunny Saturday in late April, 66 journeyman teams and 145 apprentices from municipally owned utilities across the country showed up in Wake Forest. They competed in events demonstrating lineworker skills and safe work practices—climbing power poles, tossing ropes, hanging transformers, rescuing injured workers, and more. The 2018 rodeo kicked off like no other. After welcome messages from public power dignitaries Mike Hyland, the Association’s senior vice president of engineering services; Walter Haase, chair of the Association’s board of directors; and Wake Forest Mayor Vivian Jones, North Carolina Lt. Gov. Dan Forest took the stage to declare, “Public power lineworkers are the backbone of America!” Forest went on to thank lineworkers for their role in making our communities work and for their help and sacrifices during hurricanes and natural disasters. The Wake Forest Fire Department Honor Guard presented the colors during the flag ceremony that featured former champions of the North Carolina Association of Municipal Electric Systems (NCAMES) rodeo. Briley Hussey’s beautiful rendition of the national anthem was the perfect lead in to the rodeo’s first-ever flyover. Performed by the Raleigh-based Bandit Flight Team, the flyover was a huge hit with the crowd. After an invocation by former Wake Forest Electric employee John Thrift, the 2017 International Lineman Hall of Fame inductees led a ceremony honoring fallen linemen. The flyover team returned to perform the Missing Man formation. It symbolized lineworkers’ tight formation and losing one of their own, who remains always there, irreplaceable. Representing North Carolina were lineworkers from Apex, Benson, Fayetteville, Gastonia, Greenville, High Point, Kinston, Rocky Mount, Shelby, Statesville, Tarboro, and Wake Forest. After tough competition and being judged on safety, work practices, neatness, ability, and equipment handling, only 20 journeyman teams had no deductions. Among them were the Greenville Utilities Commission team and the NCAMES team, which consisted of linemen from the Town of Apex. From there, total time to complete events decides the winners. The NCAMES team placed 11th overall, and the Greenville Utilities Commission team took the 15th spot—an impressive showing against the best of the best in the country. Of the 145 apprentices competing, 35 represented public power communities in North Carolina, and seven of those finished in the top 50 overall. Adam Peace from High Point finished 12th overall, and Matthew Board from Greenville Utilities Commission took the 15th spot. Great job, guys! We’ll see you at the 2019 rodeo in Colorado Springs. Before the 2018 Public Power Lineworkers Rodeo, ElectriCities senior safety specialist Woodie Wilson, who led the team that built this year’s competition course, pointed out that someone from North Carolina had been on the awards stage at the national rodeo every year. Though no North Carolina rodeo competitors made it to the stage this year, Wilson’s statement remains true. At this year’s awards banquet, Wilson himself, along with fellow ElectriCities alum Mike Byrd, was inducted into the International Lineman Hall of Fame. Throughout Wilson’s career, he has worked directly with line crews to ensure that they perform tasks safely and efficiently. His expertise has impacted many. Nearly a week after receiving the award, Wilson was still beaming. “I don’t think it has sunk in yet,” he said. This year’s other inductees are: William Dwain Edwards, Bob Grauberger, Tony Jordan, and Joe Young. Congratulations to all! The Public Power Lineworkers Rodeo simply couldn’t happen without the help of several amazing volunteers. This year, more than 200 people from 20 states donated their time to help the rodeo go. Whether at the Raleigh Convention Center or the rodeo site in Wake Forest, they chipped in as greeters, auditors, judges, scorers, and so much more. But before those helpful folks could report for duty, the competition site had to be built. That means some way, somehow 200 utility poles had to be set. And that was just the first step in a long process. Over eight weeks, crews from 17 public power communities helped create 10 event stations for each of the nine pole-climbing events in the rodeo. That means much more than attaching a crossarm or 20. Event stations must be built to strict APPA-defined specifications. Rodeo judges inspect each one a day or two before the rodeo. Stations not built to spec have to be corrected, pronto. Woodie Wilson, who was charged with overseeing site construction, said his goal was to have every event pole meet specs and not require a single change. “I met my goal,” he announced proudly.